The current study examined brain activation in designers in response to pictorial stimulation during tasks involving transforming imagination. Thirty-four multimedia designers were invited and guided to complete a creative personality scale. The top and bottom thirds of them (12 each) were labelled as high-creativity (HC) and low-creativity (LC) groups. Our results indicate: (i) Design exploration was characterised by activation in the right lateral frontal and right temporal cortices. HC designers exhibited a higher activity in the right temporal cortex, whereas LC designers exhibited a higher activity in the right lateral frontal cortex. (ii) Design crystallisation was characterised by activation in the left occipital and right lateral frontal cortices. HC designers exhibited a higher activity in the left occipital cortex, whereas LC designers exhibited a higher activity in the right lateral frontal cortex. (iii) Design transferability was characterised by activation in the right medial frontoparietal and left frontotemporal cortices. HC designers exhibited a higher activation in the right medial frontoparietal cortex, whereas LC designers exhibited a higher activity in the left frontotemporal cortex. Designers initiate their creative process through environmental features and associate these features with their experiences until a cohesive whole is developed . This capacity of exploring unknown concepts, recreating mental images, and crystallising abstract ideas according to diverse domains is also understood as transforming imagination . In the context of design, transforming imagination can be known as a designer’s capability of imagining the future by applying their experiences. This capability is critical for the creative cognition of designers through the application of design knowledge to elucidate unsolved uncertainty. Transforming imagination involves three indicators, namely exploration, crystallisation, and transferability . Exploration refers to the capability of an individual to investigate the unknown; crystallisation is the capability to express abstract ideas using concrete examples; and transferability is the capability to perform tasks by transforming knowledge across multiple fields . Design typically involves a period of exploration in which ideas are tested and “what if?” questions are asked . As experience increases, visualisation (a concept similar to crystallisation) replaces abstract functional models. Even for expert designers, who often address nonroutine problems, the explicit search for experience analogues and transfer are feasible strategies for generating effective design solutions . Recent empirical studies have further confirmed that transforming imagination positively predicts design performance [6,7]. Transforming imagination is closely associated with cognitive activities such as mental simulation and future imagination. Neuroscientific techniques for detecting these cognitive activities present opportunities for testing a variety of hypotheses crucial to design research . Neuroscientists are currently exploring the areas of the brain that are causally related to creativity and imagination in designers and their associations [9,10]. Previous studies have identified that the medial temporal lobe stores memories and associations from experiences, and that the medial prefrontal lobe facilitates the flexible use of these memories. These two lobes converge on major integration nodes, including the posterior cingulate cortex . Beaty et al. thus indicated that high levels of cooperation among the regions of the brain are associated with cognitive control and imaginative processes . Prior research has indicated that the right prefrontal and frontal lobes are crucial in design conceptualisation and creative cognition . However, Aziz-Zadeh et al. designated that strong parallel activations are found in both hemispheres to support creative processing . Fink et al. also demonstrated the close collaboration between divergent thinking and the default mode network (DMN) . In creativity-related tasks, the anterior cingulate, temporopolar, and frontopolar cortices are activated. Benedek et al. further identified that creative idea generation was associated with extended activation in the left prefrontal cortex and right medial temporal lobe and with the deactivation of the right temporoparietal junction . The left inferior parietal cortex and left prefrontal regions may promote the flexible integration of past knowledge for the development of new and creative ideas. Beaty et al. compared high-creativity (HC) and low-creativity (LC) individuals and indicated greater connectivity between the left inferior frontal gyrus (IFG) and DMN in the HC group . The right IFG also exhibited greater functional connectivity with the bilateral inferior parietal cortex and left dorsolateral prefrontal cortex in the HC group. Liu and Liang observed that when designers engaged in a visual attention task of abstract art stimulation, most differences in the right temporal region were in comparatively lower bands, those in the right occipital cortex were in relatively higher bands . Moreover, while engaging in visual association task, the increasing brain activations of the designers appeared in the parietal and prefrontal cortices. The differences between the HC and LC designers during abstract art stimulation were mostly smaller than were those during realist art stimulation. In addition, the brain activation of the HC designers was lower during realist art stimulation than during abstract art stimulation, whereas an opposite phenomenon appeared in the LC designers . Although experience transfer and creative cognition are critical for design performance, little evidence has been provided to highlight how external stimulation influences designers engaged in transforming imagination tasks, let alone to compare the differences in reactions to stimulation among designers with different levels of creativity. Based on the aforementioned study outcomes and research gap, electroencephalography (EEG) was applied in this study to investigate the brain activations of multimedia designers when they responded to pictorial stimuli while engaging in the transforming imagination tasks. The two major research questions were as follows: (i) Which brain regions are activated when multimedia designers engage in transforming imagination tasks involving pictorial stimulation? (ii) What are the differences between HC and LC designers when they engage in transforming imagination tasks? After three design educators were consulted, the pictorial stimuli used in the current study were selected-namely, artworks by Pablo Picasso. Most of Picasso’s artworks have entered into the public domain in most countries, mitigating copyright concerns. We individually nominated 12 representative works by Picasso and compared them to check that the identical artwork did not appear twice. These pieces were then compared according to their characteristics of perceptual fluency, such as composition, repetition, clarification, and figure-ground contrast . After three rounds of comparison, a list of 15 pieces was finalised and evenly sorted into three groups. Each group of artworks was assigned to an indicator of transforming imagination. In the present study, 14 professional and 20 student designers were recruited in an EEG experiment. All of the professional designers had over 10 years of relevant work experience and had led teams specialising in multimedia design. The student participants were junior or senior undergraduates majoring in design; they had all exhibited creative performance. The participants were required to be available between October and December 2016. Of the participants, 16 were women and 18 were men, with ages ranging from 20 to 41 years. The selection process allowed for a degree of diversity in the sample, with a balanced gender ratio and varied levels of seniority; a broad range of design experience was thereby explored. Before the experiment began, the participants were asked to complete a creative personality scale (CPS) . Higher CPS total scores show higher creativity. Thus, the top and bottom thirds of the designers were divided into HC and LC groups for the comparison analyses of their brain activities. Of the 12 HC designers, 5 were women and 7 were men, with ages ranging from 22 to 34 years. Of the 12 LC designers, 6 were women and 6 were men, with ages ranging from 20 to 40 years. All 24 participants had no history of cardiovascular disorders or drug or alcohol abuse and had normal or corrected-to-normal vision. In this experiment, the EEG headset was a 32-channel wireless system comprising two foam-based sensors that are applied only to the Fp1 and Fp2 sites. This wearable system features dry electrodes and a soft cap, solidifying its precision and convenience. The dry sensors could be used repeatedly on hairy sites without a conductive gel. The scalp markers were located according to the international 10–20 system in line with the human cerebral structures. This headset has a sampling rate of 250 Hz and a 16-bit quantisation. The electrode impedance was maintained as low as possible (≤5 KΩ). The brainwave data could be received using portable devices through the Bluetooth protocol. Data acquired from this experiment were exported in the ASCII (.txt) format. This research project was approved by the Research Ethics Office of National Taiwan University. The participants were asked to sign consent forms and received a detailed explanation of the experiment. We then recorded the 60-s resting-state brainwave at the beginning of the experiment to serve as the baseline for potential correction. During the experiment, the participants watched a PowerPoint presentation and were asked to verbalise their design problem, purpose, and imagined outcomes of a personal design project for 2 min. To examine the exploration indicator, each designer was asked to look at an artwork randomly selected from the first group and think of answers to the following questions: ‘Which parts of this painting arouse your curiosity?’; and ‘What do you want to explore further (e.g., the originality of the idea and the techniques used)?’ During this process, we recorded EEG data for 60 s. The designers then verbalised their answers for 120 s. Each round for a particular artwork lasted 3 min, for a total of 15 min for the five pieces in the group. The 120-s narration subsession was conducted to help us understand the participants’ explorations rather than to obtain a scientific comparison of brainwave activation and narrative contents. These subsessions were also treated as intervals to avoid recording overlapping brain responses. To ensure the quality of this experiment, we conducted an exact repeat of the procedure for all the artworks in each group. To examine the crystallisation indicator (i.e., the ability to visualise abstract concepts by using concrete examples), each participant was asked to look at one of the artworks from the second group and think of answers to the following questions: ‘What concepts do you want to express in this project?’; ‘How does this artwork help you to crystallise your concepts?’; and ‘How does this artwork improve your originally imagined outcome?’ Each artwork in this group was randomly displayed so that the participant could silently think of answers to the aforementioned questions. Similar to the session of exploration indicator, five rounds of the experiment were performed. Finally, to examine the transferability indicator (i.e., the ability to perform tasks by applying information acquired across multiple fields of knowledge), each participant was asked to look at artworks from the third group and think of answers to the following questions: ‘What experiences gained from this project do you think can be transferred to the follow-up project?’; ‘How does this artwork help you to transfer your experiences?’; and ‘How does it improve your originally designed outcome?’ Likewise, five rounds of the experiment were conducted. The experiment lasted for roughly 1 h, including the periods of experimental explanation, project description, EEG system testing, and baseline signal acquisition. Notably, the verbalised information was neither further used in this study nor scored as an estimate of the imaginative indicator in the design task itself. Bad channels were deleted through kurtosis measurement in EEGlab by using five standard deviations from the mean as the threshold. A high-pass filter with a cutoff frequency of 1 Hz and a low-pass filter with a cutoff frequency of 50 Hz were applied based on finite impulse response filters to remove oculomotor activities, line noise, and muscle movement contamination. The 60-s EEG signals of each condition were split into 1.6-s epochs, which were not overlapped and were trimmed to avoid edge artefacts. According to our data, the differences between the baseline and 60-s time slots reached statistical significance. EEGlab was then used to decompose the filtered EEG signals through independent component analysis (ICA) with the Infomax algorithm. ICA, which attempts to reverse the superposition by separating the EEG into mutually independent scalp maps, was applied to the concatenated epochs from all conditions. The components of ICA were grouped into numerous clusters in line with the similarity of outcomes. Each dipole represented the source location of an independent component as well as a specific cortex region. We used the scalp topography of each IC to plot the threedimensional (3D) location of a dipole through the DIPFIT plug-in (version 2.3). DIPFIT is a unique function of the EEGlab toolbox for the localisation of the IC sources of EEG data. The DIPFIT input comprised all ICs from all participants. A threshold of residual variance from the scalp projections of these dipoles was set as 0.15 (15%); some dipole locations were rejected because of the threshold. In addition, boundary element modelling was employed. The time-invariant correlations between clusters were obtained by averaging the component activations of each cluster and then calculating the correlation coefficients between clusters to understand the relationship between two particular cortex regions (i.e., the correlation metric was calculated between the cluster means of component activations). Timedomain data were transformed into frequency-domain data by using the FFT function. We then applied a Wilcoxon signed-rank test to examine the differences in the spectra power of the HC and LC designers. In the following section, the topographies of the major IC clusters and their dipole plots are displayed. The results of the correlation analyses between components are then described. We then used the Wilcoxon signed-rank test to clarify the differences in frequencies between the HC and LC designers, and the significance levels of the null hypothesis at different frequencies are shown as red dots in the plots of the spectra. The scalp topographies and 3D dipole plots indicate that this brain activity can be separated into two major IC clusters: the right temporal and right lateral frontal cortices (Figure 1a and 1b). The association between these two clusters was moderate (r=0.57). Only one significant power difference appeared in the beta band at 17 Hz in the right temporal cluster (HC>LC; p=0.0378; Figure 2a). In the right lateral frontal cluster, two significant power differences were noted in the gamma band, at 40 Hz (LC>HC; p=0.0140; Figure 2b) and 50 Hz (LC>HC; p=0.0348; Figure 2b). The significance of the null hypothesis related to the different frequencies is shown as red stars in the spectra. Figure 1: Scalp maps and 3D dipole plots for the exploration task. Figure 2: Wilcoxon signed-rank test for the exploration task. The scalp topographies and 3D dipole plots indicate that this brain activity can likewise be separated into two major IC clusters: the left occipital and right lateral frontal cortices (Figure 3a and 3b). The correlation between these two clusters was high (r=0.77). In the left occipital cluster, the spectral power of the HC designers was usually higher than that of the LC designers (Figure 4a). The largest difference was observed in the theta band at 7 Hz (p=0.0026). In the right lateral frontal cluster, the power of the LC designers was higher than that of the HC designers (Figure 4b). The largest difference was observed in the gamma band at 44 (p=0.0000). Figure 3: Scalp maps and 3D dipole plots for the ccrystallisation task. Figure 4: Wilcoxon signed-rank test for the crystallisation task. The scalp topographies and 3D dipole plots indicate that this brain activity can likewise be separated into two major component clusters: the right medial frontoparietal and left frontotemporal cortices (Figure 5a and 5b). The correlation between these two clusters was comparatively low (r=0.21). In the left frontotemporal cluster, the spectral power of the LC designers was mostly higher than that of the HC designers (Figure 6a). The largest differences appeared in the gamma band at 50 (p=0.0008) and 49 Hz (p=0.0052). No significant difference appeared between HC and LC designers in the right medial frontoparietal cluster (Figure 6b). Figure 5: Scalp maps and 3D dipole plots for the transferability task. Figure 6: Wilcoxon signed-rank test for the transferability task. Design exploration relies profoundly on synthetic processes where designers seek to test ideas and ask ‘What if?’, as well as also to develop, assess, and experiment to obtain alternatives that transcend current paradigms; and to be proactive in expression . In other words, design exploration encompasses frequent activities for seeking insights and alternatives. The results indicate that the right lateral frontal and right temporal cortices were principally active during the exploration experiment. The hippocampus, a major part of the temporal lobe, is associated with object recognition and the interpretation of visual stimuli. Particularly, the anterior temporal lobe (ATL) functions as a domain-general semantic hub which integrates the information associated with a concept, and visual object processing often recruits ventral ATL structures. In summary, the activation of the right ATL is crucial for insight generation and the major function of the right temporal cortex is nonverbal memory and communication [19,20]. Our findings illuminate the essential role of the right temporal region in design exploration, particularly in stimulating designers to ‘think outside the box’. The right frontal lobe is responsible for primary emotions and affective behaviours, among other functions . Greater right frontal EEG activity is specifically associated with the capacity to regulate emotion and attention in relation to negative mood induction, resulting in reduced negative affect. The connection between affective behaviour and the right frontal lobe’s function in wit and humour may explain why comedians so often experience depression . The right frontal lobe is also connected to qualities such as vigilance, wakefulness, and attentiveness . In summary, personality characteristics, emotional thought, social inhibitors, ethical diligence, executive control, and social conduct depend on the right frontal lobe. Our findings indicate that designers sought to criticise existing paradigms to search for alternatives during design exploration and simultaneously performed emotional regulation to manage design problems and client needs. The correlation between the right lateral frontal and right temporal cortices was noticeable, possibly because design exploration frequently involves intellectually negotiating and switching the space between the known and unknown. HC designers expended more cognitive resources in the right temporal cortex, whereas LC designers did so in the right lateral frontal cortex, consistent with the results of prior research. Kaufman indicated that the right ATL is associated with insight and novelty . Liu et al. revealed that the right temporal cortex is strongly activated in HC designers when they engage in visual association and acts such as design exploration . Moreover, LC designers expended more cognitive effort to regulate their emotional responses during design exploration, which might reduce their ability to gain further insight because affect is a crucial predictor of creativity. In addition, the exploration task involving abstract art stimulation could be understood as a visual discrimination process by LC designers due to its visual unfamiliarity . Crystallisation, in this study, refers to the capability of individuals to express abstract ideas through concrete examples. Vygotsky asserted that, all commonplace objects in the world are the crystallisations of imagined concepts . Perdue added that human imagination can link images to ideas. Crystallisation enables designers to explicate abstract concepts for their clients through the effective use of tangible examples from everyday life . The results show that the left occipital and right lateral frontal cortices were particularly active during the crystallisation experiment. The occipital cortex plays a visual processing centre comprising most of the visual cortex. This finding concurs with those of prior research, indicating that visual stimuli with reduced resolution (e.g., abstract paintings) induce a strong visual association in the posterior ventral regions of designers. Our findings indicate the essential role of the occipital cortex during design crystallisation and that this purposeful design act particularly corresponded to processing in the ‘rational’ left hemisphere. As indicated in the previous section, the right frontal lobe is closely associated with primary emotions and affective behaviours [21,22]. The activation of this region represents emotional regulation and vigilance towards negative mood . In addition, the right inferior frontal sulcus is associated with attention control, rapid adaptation, and task switching for responding to salient stimuli . This region is critical for response inhibition and is specifically involved in generating inhibitory outputs . Design crystallisation is associated with adapting abstract ideas into concrete examples. Our findings support the importance of the right frontal cortex in emotion regulation and task switching for developing designers’ crystallisation abilities. The correlation between the left occipital and right lateral frontal cortices was strong, concurring with prior research. For example, more increases in brainwave coherence in the right frontal and occipital cortices of experienced artists than in those of novice artists . According to our data, HC designers expended more energy in the left occipital cortex, and power differences between HC and LC designers were mostly observed in the theta and alpha bands. Previous studies have provided constant evidence supporting low frequency bands associating with human creativity [12,28]. Our results reveal that the activation of the left occipital theta and alpha power are characteristic of HC designers, particularly during design crystallisation. In addition, our data reveal that LC designers expended more energy in the right lateral frontal cortex, and power differences appeared in most high frequencies. Similar to the previous section, the LC designers performed more emotional regulation during the crystallisation task, potentially hindering their development of insights. Transferability, in this study, refers to the capability of individuals to perform tasks by transforming their knowledge across multiple fields. As Vygotsky stated, analogies are derived not only from connecting one object or field to another but also from thinking about a single object . Similarly, designers often use their experiences to plan and make appropriate adaptations or synthesise new designs. Scholars have suggested that analogical reasoning can be a practicable strategy for creating design solutions . Our results show that the most activated brain regions were the right medial frontoparietal and left frontotemporal cortices during the transferability experiment. Several studies have demonstrated that stimulation of the left frontal lobe and ATL reduces visuospatial creativity. For example, Chi and Snyder indicated that inhibition of the left ATL is associated with increases in insight or novel meanings . Milano et al. further demonstrated that the decrease in visuospatial originality following left frontotemporal stimulation supports its dysfunction and leads to increased creativity . In addition, scholars have indicated that cognitive flexibility and left frontotemporal functional connectivity contribute to episodic memory performance. Our findings reveal that design transferability was involved in episodic retrieval and coding, but also that this capacity through the activation of the left frontotemporal cortex may not be beneficial for generation of creative ideas. The right medial frontoparietal cortex is situated in the frontoparietal network (FPN), which is composed of brain regions that, swiftly alter their connectivity with other cerebral networks which are more task specific. The FPN comprises flexible hubs with structured connectivity patterns, reflecting compositional coding that allows an instant transfer of knowledge to help learning novel tasks . This provides a solid explanation of our findings on design transferability. In addition, Koziol identified the role of the right FPN in processing cognitive novelty, task orientation, and the generation of novel problem-solving strategies. Design transferability is associated with transforming designers’ knowledge into different contexts. Our findings support the critical function of the right medial frontoparietal cortex in knowledge transfer and task orientation for generating appropriate design strategies . The correlation between the left frontotemporal and right medial frontoparietal cortices was weak, indicating that the coactivation of episodic retrieval and knowledge transfer can facilitate design transferability. Accordingly, LC designers expended more energy in the left frontotemporal cortex, and most power differences between HC and LC designers appeared in the gamma band. This finding concurs with those of previous studies (Chi and Snyder ; Liu et al. ; Milano et al. ) and indicates that left frontotemporal activation may inhibit creative performance. The differences did not reach statistical significance, but HC designers generally expended more energy in the right medial frontoparietal cortex, a finding supported by those of previous studies (Koziol ; Liu et al. ; Zanto and Gazzaley ). Although this study provides insights for both the design and neurocognition fields, several limitations should be acknowledged. First, the relatively small number of designers (34) could have been insufficient for the experiment, despite being representative. Second, the low spatial resolution of an EEG system makes tracing the activation to its precise origin in the brain difficult, though it has a highly temporal resolution. Third, the stimuli used in the present study were limited to artworks by Picasso; hence, miscellaneous forms of stimulation (e.g., 3D objects, films, words, music, sound effects, and smells) can be explored in the future. The results reported in this article offer insights into the complexities of designers’ imaginations. Acknowledging these limitations opens inquiry into this novel area. Several notable conclusions can be drawn from the present study. First, design exploration was associated with the activation of the right temporal (HC group) and right lateral frontal (LC group) cortices. Second, design crystallisation was linked to the activation of the left occipital (HC) and right lateral frontal (LC) cortices. Third, design transferability was indicated by the activation of the left frontotemporal (LC) and right medial frontoparietal (HC) cortices. Our results extend recent work by illuminating the contribution of specific brain regions to designers’ transforming imagination and suggest that the interaction of these regions reflects the interplay of memory systems and cognitive control. Moreover, the use of the Wilcoxon signed-rank test appeared to be effective for comparing the differences in brain activity between HC and LC designers when they engaged in the experimental task. Understanding the specific contributions of these particular brain regions can provide critical insight into how and when they interact with each other to support designers’ experience transfer. These findings can be used in future research to develop interventions that facilitate transforming imagination. Nam TJ, Kim C (2011) Design by tangible stories: Enriching interactive everyday products with ludic value. International Journal of Design 5: 85-98. Lin WS, Hsu Y, Liang C (2014) The mediator effects of conceiving imagination on academic performance of design students. International Journal of Technology and Design Education 24: 73-89. Liang C, Chia TL(2014) Reliability, validity, and factor structure of the imaginative capability scale. Creativity Research Journal 26: 106-114. Fallman D (2008 )The interaction design research triangle of design practice, design studies, and design exploration. Design Issues 24: 4-18. Ball LJ, Ormerod TC, Morley NJ (2004) Spontaneous analogising in engineering design: A comparative analysis of experts and novices. Design Studies 25: 495-508. Liang C, Lin WS (2015) The interplay of creativity, imagination, personality traits and academic performance. Imagination, Cognition and Personality 34: 270-290. Yao SN, Lin CT, King JT, Liu YC, Liang C (2017) Learning in the visual association of novice and expert designers. Cognitive Systems Research 43: 76-88. Alexiou K, Zamenopoulos T, Johnson JH, Gilbert SJ (2009) Exploring the neurological basis of design cognition using brain imaging: Some preliminary results. Design Studies 30: 623-647. Aziz-Zadeh L, Liew SL, Dandekar F (2013) Exploring the neural correlates of visual creativity. Social Cognitive and Affective Neuroscience 8: 475-480. Liang C, Lin CT, Yao SN,Chang WS, Liu YC, et al. (2017) Visual attention and association: An electroencephalography study in expert designers. Design Studies 48: 76-95. Szpunar KK, St. Jacques PL, Robbins CA, Wig GS, Schacter DL (2014) Repetition-related reductions in neural activity reveal component processes of mental simulation. Scan 9: 712-722. Beaty RE, Benedek M, Wilkins RW, Jauk E, Fink A, et al. (2014) Creativity and the default network: A functional connectivity analysis of the creative brain at rest. Neuropsychologia 64: 92-98. Liu YC, Liang C (2017) Investigating how the brain activations of visual attention differ among designers with different levels of creativity. In: Delagarza D (ed.) New developments in visual attention research. Hauppauge, NY: Nova Science Publishers pp. 167-194. Fink A, Koschutnig K, Benedek M, Reishofer G, Ischebeck A, et al. (2012) Stimulating creativity via the exposure to other people's ideas. Human Brain Mapping 33: 2603-2610. Benedek M, Jauk E, Fink A, Koschutnig K, Reishofer G, et al. (2014) To create or to recall? Neural mechanisms underlying the generation of creative new ideas. NeuroImage 88: 125-133. Liu YC, Yang YH, Liang C (2017) How do creativity levels and stimulus types matter? A preliminary investigation of designer visual association. 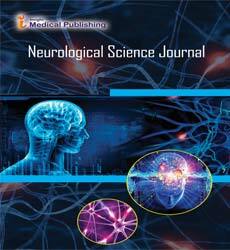 Journal of Neurology & Neuroscience 185: 1-13. Reber R, Schwarz N, Winkielman P (2004) Processing fluency and aesthetic pleasure: Is beauty in the perceiver’s processing experience? Personality and Social Psychology Review 8: 364-382. Gough HG (1979) A creative personality scale for the adjective checklist. Journal of Personality and Social Psychology 37: 1398-1405. Kaufman SB (2012) Brain stimulation makes the ‘impossible problem’ solvable. Retrieved March 31, 2016. Wisniewski I, Wendling AS, Manning L, Steinhoff BJ (2012) Visuo-spatial memory tests in right temporal lobe epilepsy foci: Clinical validity. Epilepsy & Behavior 23: 254-260. Dennis TA, Solomon B (2010) Frontal EEG and emotion regulation: Electrocortical activity in response to emotional film clips is associated with reduced mood Induction and attention interference effects. Biological Psychology 85: 456-464. Granadillo ED, Mendez MF (2016) Pathological joking or witzelsucht revisited. Journal of Neuropsychiatry and Clinical Neurosciences 28: 162-167. Nelson JT, McKinley RA, Golob EJ, Warm JS, Parasuraman R (2014) Enhancing vigilance in operators with prefrontal cortex transcranial direct current stimulation (tDCS). Neuroimage 85: 909-917. Vygotsky LS (2004) Imagination and creativity in childhood. Journal of Russian and East European Psychology 42: 7-97. Perdue K (2003) Imagination. The Chicago school of media theory. Retrieved March 25, 2016. Brass M, Derrfuss J, Forstmann B, Von-Cramon DY (2005) The role of the inferior frontal junction area in cognitive control. Trends in Cognitive Sciences 9: 314-316. Hampshire A, Chamberlain SR, Monti MM, Duncan J, Owen AM (2010) The role of the right inferior frontal gyrus: inhibition and attentional control. Neuroimage 50: 1313-1319. Sviderskaya NE (2011) Influence of informational oversaturation on the quality of creative activity and spatial organization of EEG. HumanPhysiology37: 667-672. Chi RP, Snyder AW (2011) Facilitate insight by non-invasive brain stimulation. PLoS One 6: e16655. Milano N, Goldman A, Woods A, Williamson J, Acosta L, et al. (2016) The influence of right and left frontotemporal stimulation on visuospatial creativity. Neurology 86: P4.051. Zanto TP, Gazzaley A (2013) Fronto-parietal network: Flexible hub of cognitive control. Trends in Cognitive Sciences 17: 602-603. Koziol LF (2014) The novelty-routinization principle of brain organization. In: The myth of executive functioning: Missing elements in conceptualization, evaluation, and assessment pp. 27-31.